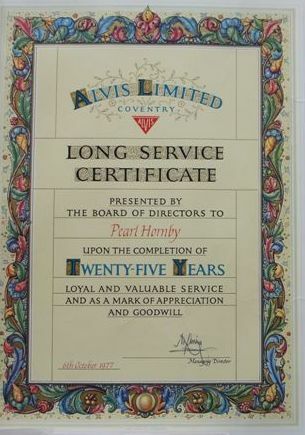 Elizabeth Bennett kindly passed us some historical Alvis correspondence and engineering drawings for lightening the 4.3 flywheel. Included was this menu for a 1939 Dinner Concert for the Alvis Inspection Department at the Gaumont Palace in Coventry. This opened in 1931 as an opulent 2,500-seat cinema, complete with ballroom, a stage for live shows with triple colour-change lighting around the proscenium arch, an organ rising from the orchestra pit, and a restaurant above the art deco foyer. Since Coventry University acquired the old cinema in 1998, The Ellen Terry Building, as it is now known by Coventry University students, has been transformed into a multi-media learning environment replete with high spec computer suites, darkrooms and performance spaces; tailored to the needs of students of Photography, Performing Arts, Media, Video Production and Journalism. 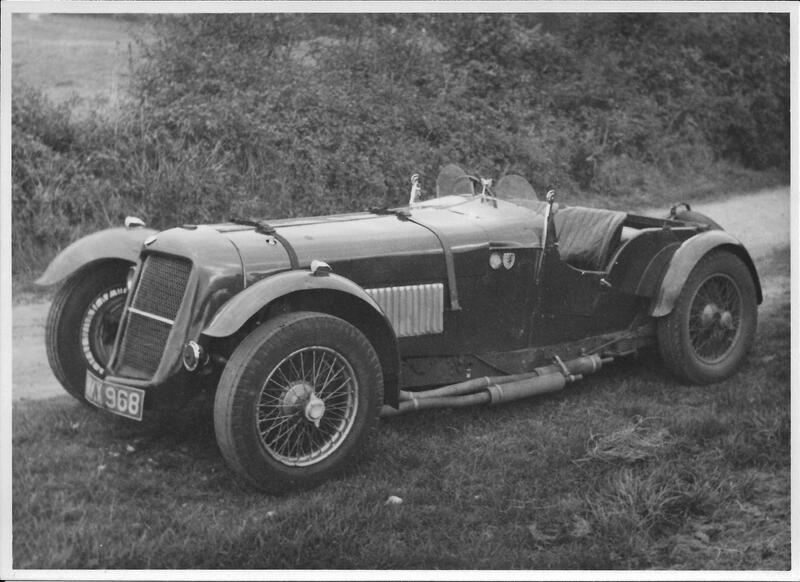 Coen van der Weiden has kindly sent a DVD of this 2007 film which features a TE21 drophead owned by the father, a doctor played by Jim Broadbent. His son is played by Colin Firth in later life. With French and Dutch subtitles. Elizabeth Owen kindly donated this clock presented to her late aunt Miss C Handford by Employees of the Alvis Machine Shop 17 April 1933 on her marriage. It now resides at Bowcliffe. Miss Pearl Hornby at her desk. 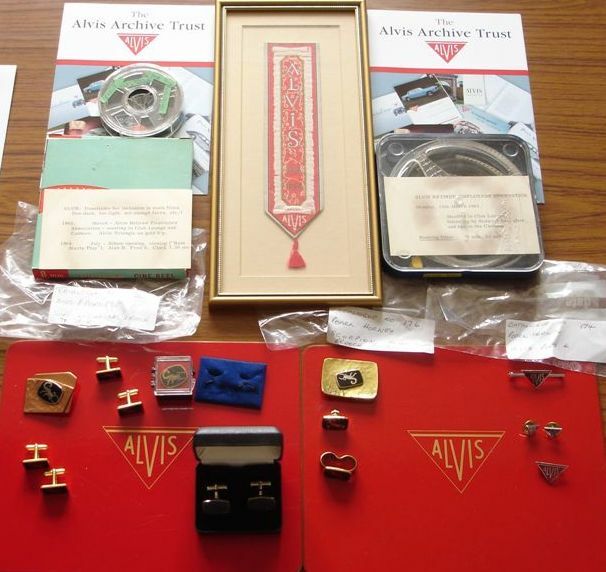 Her collection of Alvis memorabilia has been kindly donated to the Trust from her estate, now on display at Bowcliffe. 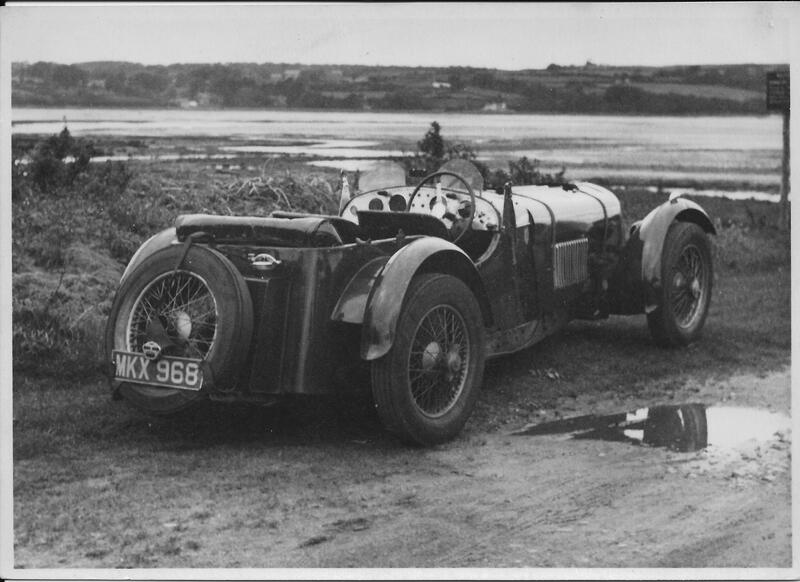 The photos not the car, have been donated. Yes, it has 8 cylinders. I like your photos of the Barson Special. Thought you might like photos given to me by Chalenor Barson and captioned on the back by the man himself. 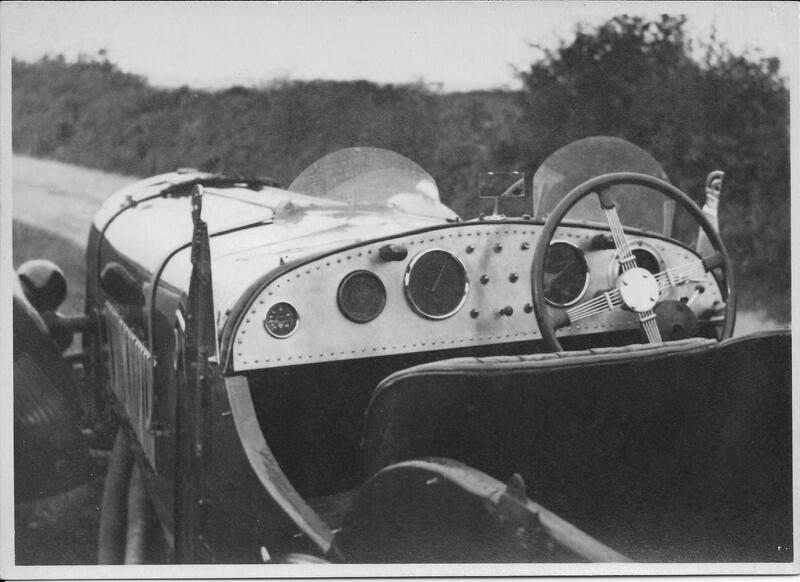 On the back of the front end shot he wrote, “Barson Special No. 11. 1940. Cape Town”. 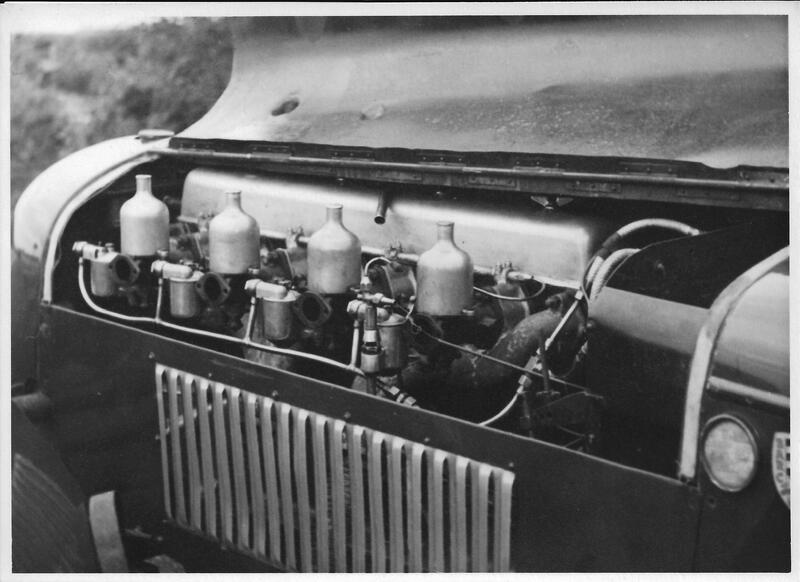 Back of the engine photo, I can’t decipher all his writing, in part, “E. 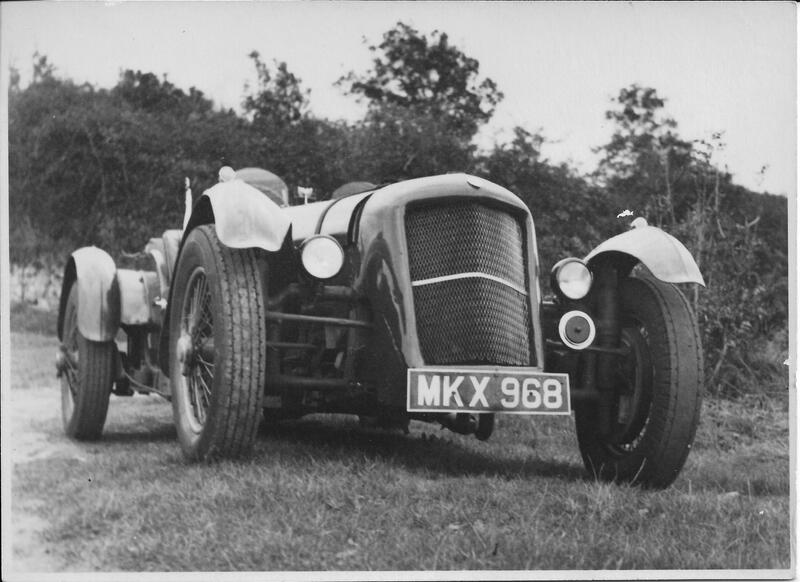 Chalenor Barson in 1940 Preparing car No. 11 for ?Kamps? Bay Hill Climb – 2nd fastest time beaten by 3/5 Sec. by Supercharged racing ?? I was 30 then”. The third photo is probably a copy of a copy Barson sent David Van Schaick in the 1970s. 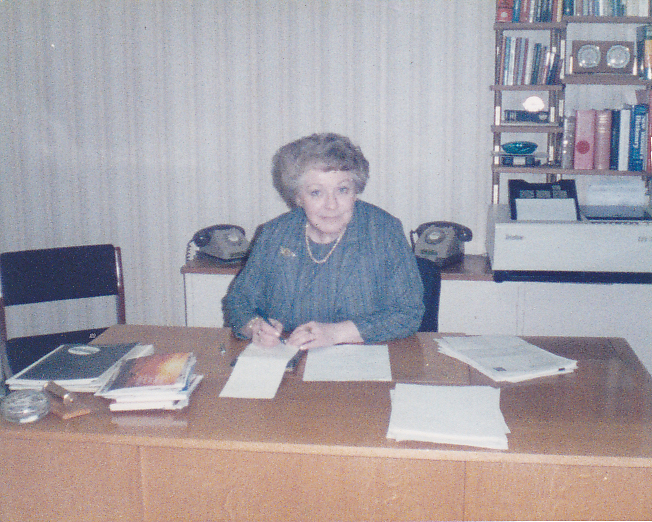 What a lovely lady, she taught me shorthand in her lunch hour, every day for four years …. I owe her so much, sadly missed.